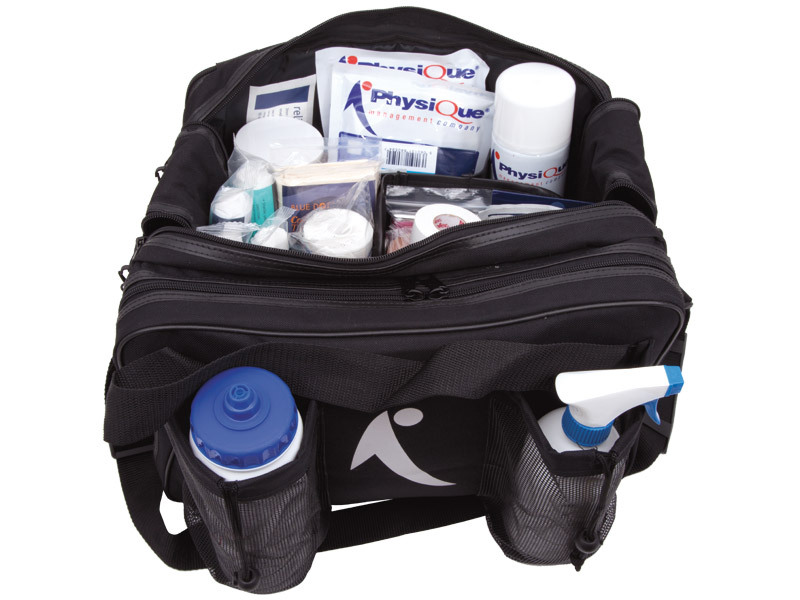 Our Field Bag used by professionals in major sports. Wipe clean interior with section dividers. External zipped pockets, pouches, and 2 bottle holder pockets. Fitted shoulder strap and easy grip handles. External zip closure pockets. 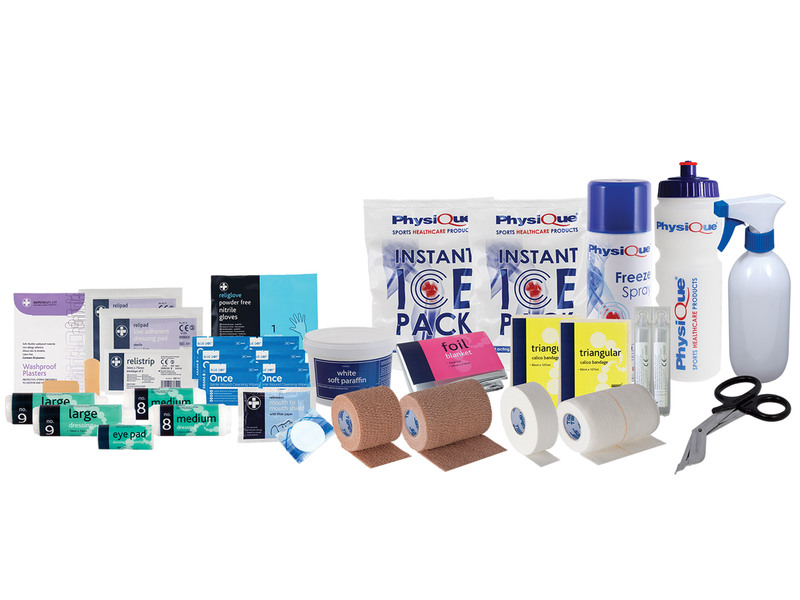 Available empty or fully equipped to treat a variety of injuries. Contents approved by many sporting bodies. External pockets and 2 bottle holders. 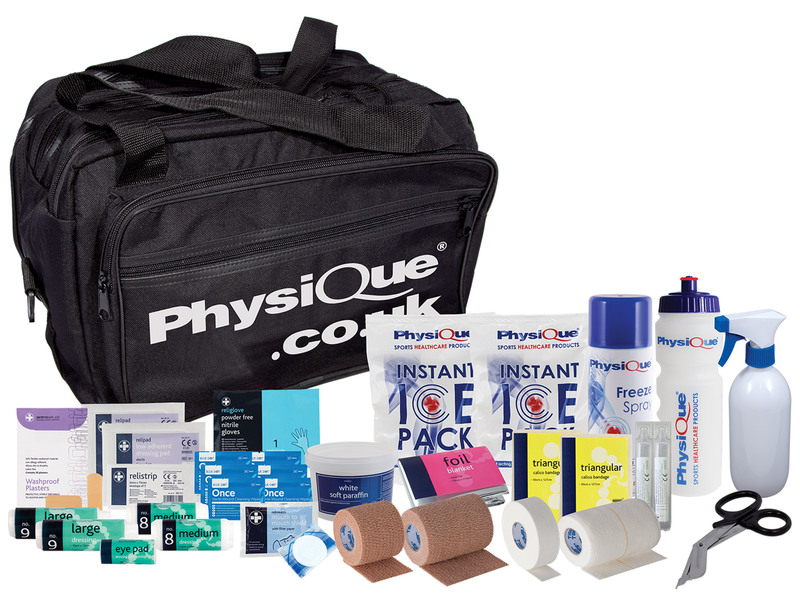 The Physique Field Bag is fantastic for the sports therapy students who have to complete pitch side placements as part of their course. 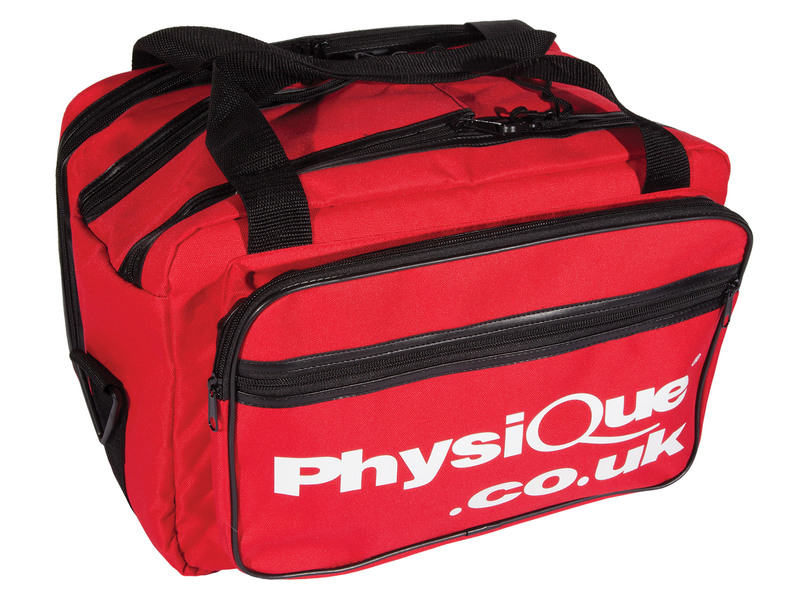 The bag is durable throughout the sporting season and does not get damaged like other pitch side bags. 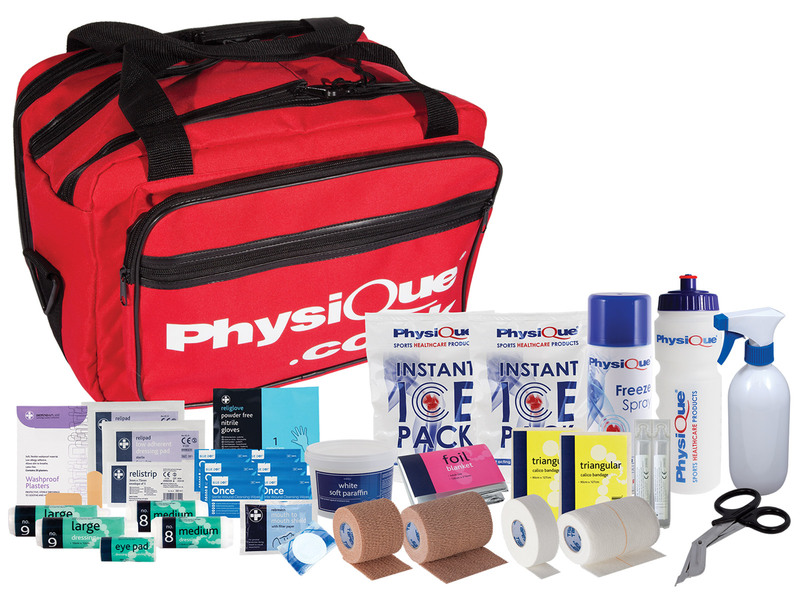 It is supplied with an appropriate contents used for all sports and has additional space so the field bag can be customised for the students and their pitch side placement when needed. 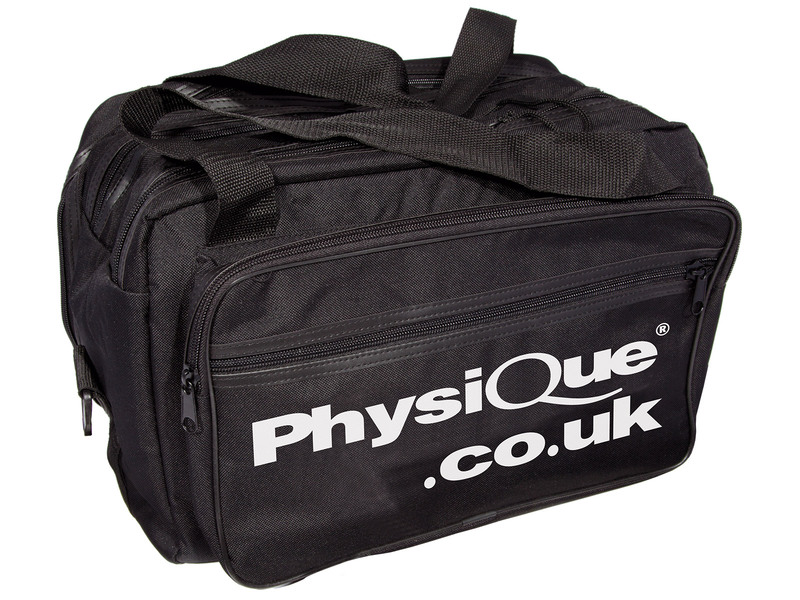 It is a great product for us and would strongly advise other customers to pick the physique field bag. good piece of kit. quite roomy and looks well made. Time will tell how it performs though. Everything you would need although the scissors aren't the best and the zips on the bag aren't the best quality but nothing that would put me off purchasing again/recommending to others. Thanks for your review. We have now changed the Scissors to Tuf Cut Scissors which are much tougher and more reliable. We've also improved the zips so they work more efficiently and are better quality. Great kit bag. Looks great and had everything I needed. All I added were compeed blister pads, tissues and some more gloves.